Welcome to Hive Resources! You’re about to see some big changes around here! I’m getting ready to redesign the site and release a Bible study in an e-book format just in time for fall. And while I’m wrapping up details, I’m running a special series called ‘From My Bookshelf to Yours’ where I’ll give away some of the books that I’ve enjoyed reading this summer! 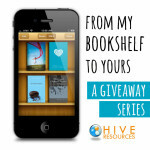 Subscribe today so you don’t miss any giveaways in this series. And be sure to check back for all the fun things that will be happening here! I first met Sara Horn in the press room for Baptist Press (although, it was so long ago I’m sure doesn’t remember me!) Both journalists, we were covering an annual meeting of the Southern Baptists Convention. Since then Sara Horn has gone on to become the author of five books, including My So Called Life as Proverbs 31 Wife, which she wrote about here on Hive Resources. After marrying, Cliff, a U.S. Navy Reservist and living aboard the USS Harry S. Truman as a Middle East correspondent, Sara went on to found of WivesofFaith.org – a ministry for military wives and families. 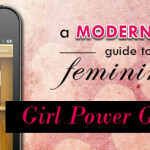 She recently sent me her latest book, and I loved it so much I’m giving away a copy this week! WINNER ANNOUNCED BELOW! 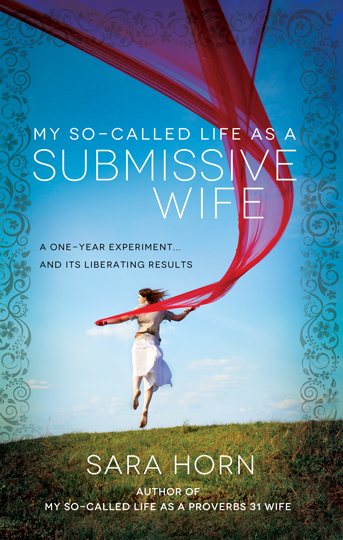 Sara’s latest title, My So-Called Life as a Submissive Wife: A One-Year Experiment…and Its Liberating Results , is her attempt to uncover what Scripture says about the wife’s role in marriage and apply it to her own marriage in one year’s time! She writes in the same accessible and sometimes tongue-in-cheek style as her other books. Because the book chronicles her year-long ‘experiment’ to submit to her husband, the book is written in the present tense like many great stories. She writes about the importance of God-ordained roles in marriage (the wife’s submission and the husband’s servant-leadership) from a very practical & authentic point of view. There are obstacles, myths, and fears that must be overcome or at the least reconciled for Sara – and she masters them with grace and humor. She grounds her experiment in the authority of God’s Word, despite entering her year-long journey without the trappings of labels (complementarianism vs. egalitarianism). In the end, Sara discovers that God’s differing design for the sexes is part of his plan to point humanity to Himself. When Sara embraced her role as her husband’s helper, she found some wonderful surprises and blessings for their marriage. She writes for the everyday woman who is struggling to align her life with God’s Word and submit to God’s authority above all. I’m giving away one copy to a lucky Hive Resources reader! Enter below. Contest ends Friday at midnight! Congrats to Ginger G.! Thank you to all who entered. Next week, I’m giving away another one of my favorite summer reads. Don’t miss it! And be sure to check back for the release of my Bible study in an e-book format just in time for fall. Next week I’m giving you a sneak peek! This post contains affiliate links. I was also given a copy of this book in exchange for an impartial review. For more information about affiliate links, click here. Title catches my fancy. Would love to win a copy. Nive, you would love this book. It is a very different approach than other writers who delve into this topic. I really enjoyed it. Looks like a great read. I have been wanting to do a study on a similar topic. Praying that I win. I am also sharing this on my facebook page https://www.facebook.com/christiangiveaways Please feel free to list any other books or giveaways you make know about in the future. There is a website in the about section. Thank you for sharing Corine! thanks for entering! I really enjoyed the book a lot! 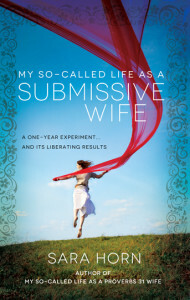 This book looks like it offers an interesting perspective of submission. How fun! An e-book??????????!!!!!! That is AWESOME. I am really looking forward to reading it! Thanks Jessalyn! I’m excited too! It’s actually a Bible study I’ve already written and led at my my home church in TX. Would you be interested in a sneak peek? Oh Jessica! I hear you! I love how Sara shares her fear of ‘what if’ in this book – “what if I choose to follow my husbands lead and he leads me where I don’t want to go?” Such a real and honest question held by so many of us! I love how she ends up conquering this fear, too! You’ll love the book! Looks really interesting. Hardest part of submission for me is that it strikes at my pride, which is far too much a part of my life than it should be. Submission requires me to humble myself, and that is hard. The blessings though of submission are many, as anyone who follows Christ knows. Humbling ourselves in submission to another opens us to learn lessons that would otherwise be impossible to learn. Thanks, Melissa, for this giveaway! Can always learn more on this difficult topic. Yes, Betsy! Of it weren’t for that pride! Ha! But we aren’t alone in this struggle! As a Women’s Ministry Leader at my church, I would love to have a “book club” type study surrounding this book. All of us married women could learn something new and We have several women getting married this year and several more in young marriages. What a chance to improve marriages and start out on the right foot!!!! Mary, the book has discussion questions at the end that would be helpful for a group setting! This sounds like a great book! I think the hardest part is keeping my opinions to myself when I think my husband is wrong. The most rewarding part is seeing my husband as the leader of our family. Yes, I agree, Stephanie! Sara has some great illustrations of that truth – giving the husband some room to step up and step in! Angela – that is Sara’s point exactly. True submission is yielding to God. We see that fleshed out in the roles he’s ordained in marriage, but ultimately it’s about a woman submitting her heart’s attitudes to God and trusting him with the results. You’ll love the book! Oh Julie, you would love this one! I found myself in so many of her stories! Plus, it’s a really FUN read! This sounds similar to another book published recently by a well known female blogger…but this one sounds a little more like something I might be more convicted by than offended, know what I mean? I married late in life so submission was and still can be challenging. Turning the reins over though can be very freeing. Just the idea of not having to be in charge kinda reminds me of being a kid again. Sounds like such a great book! 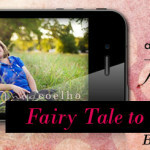 I’m a newlywed and love the encouragement I find from yours and others’ blogs! Thanks for writing on what it’s like to be a Godly wife! True Submission is yielding to God. Putting God first in my life and letting Him lead me in the paths of righteousness.